As of February 10, 2006, I have stopped official support for the Cradle Mod. It has been a pleasure to have an impact on the gaming community with this Mod, and see it become the genesis for additional Mods like Ages of Man. 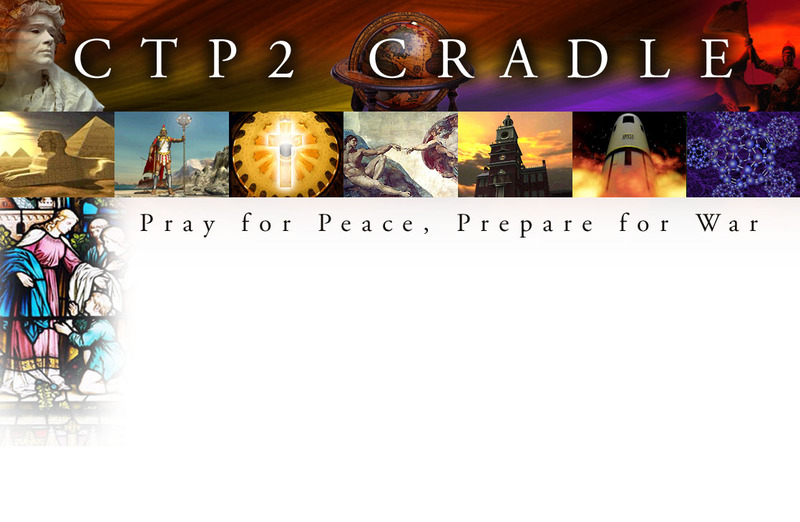 If you desire a copy of Cradle, please email me (hexagonia@yahoo.com), or visit Apolyton.net or WePlayCiv and go to the CTP2 files section to download Cradle, the official CTP2 Patch, and Modswapper.